The new Genova Plus is a UV/visible spectrophotometer dedicated to life science analysis. 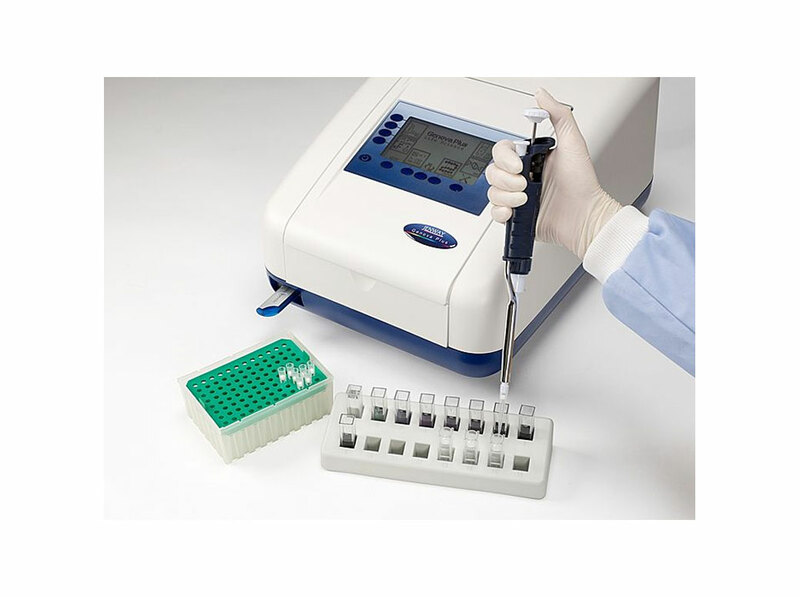 This spectrophotometer allows the measurement of DNA concentrations and purity ratios using wavelengths recorded at 260, 280 and 230nm, with an optional correction at 320nm. The Genova Plus is pre-programmed with Bradford, Lowry, Biuret, BCA and Direct UV methods for protein analysis. The Genova Plus has an OD measurement mode enabling cell growth to be monitored by measuring absorbance at 600nm, 595nm or any other user selected wavelength. The purity scan across the entire wavelength range from 198 to 1000nm displays any distorted peaks enabling impurities to be easily identified. This life science spectrophotometer uses icon driven software and has an improved navigation system for easy and intuitive usability. As well as the dedicated life science measurement modes this instrument can also be used as a standard spectrophotometer with measurement modes for photometrics, concentration, multi-wavelength, spectrum scanning, quantitation and kinetics.